More is known about the short-term effects of marijuana on the brain that is known about the long-term effects that the drug produces. Marijuana affects cannabinoid receptors which are found in brain regions that influence learning, memory, appetite, coordination, and pleasure. Affecting those receptors is how marijuana use produces the effects it has on users. What researchers do not fully understand is what effect that marijuana can have on the brain when someone uses the drug regularly over a long period of time. MRI imaging studies show that there are differences between the brains of marijuana users and non-users. According to the National Institute on Drug Abuse, what scientists do not know is what the differences seen on the MRI images mean and how long the difference last, if someone quits using marijuana. MRI image studies of teen brains show that those who regularly use marijuana display impaired neural connectivity in specific brain regions involved in a broad range of executive functions like memory, learning, and impulse control compared to non-users. A large, longitudinal study in New Zealand found that frequent marijuana use by adolescents was linked to an average loss of 8 I.Q. points in mid-adulthood. That same study also found that teens who used marijuana in adolescence but quit using as adults did not recover the lost I.Q. test points. Researchers believe that marijuana's strongest long-term effects occur with young smokers who brains are still developing neural connections. 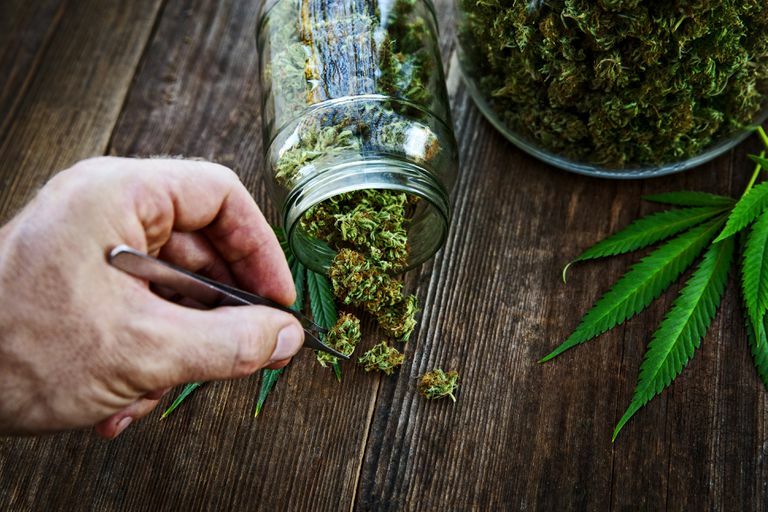 Research into the effects of marijuana on the brain has been hampered by the fact that most people who use marijuana also drink alcohol, or other substances, which can have their own negative effects on the brain. National Institute on Drug Abuse. "Marijuana." DrugFacts Updated January 2014. National Institute on Drug Abuse. "Marijuana." Research Report Series Updated July 2012. National Institute on Drug Abuse. "Want to Know More?- Some FAQs about Marijuana." Marijuana: Facts for Teens Updated October 2013. The Partnership at DrugFree.org. "Marijuana." Drug Guide.